Residential 5 acre property with brand new 2080 Sq. 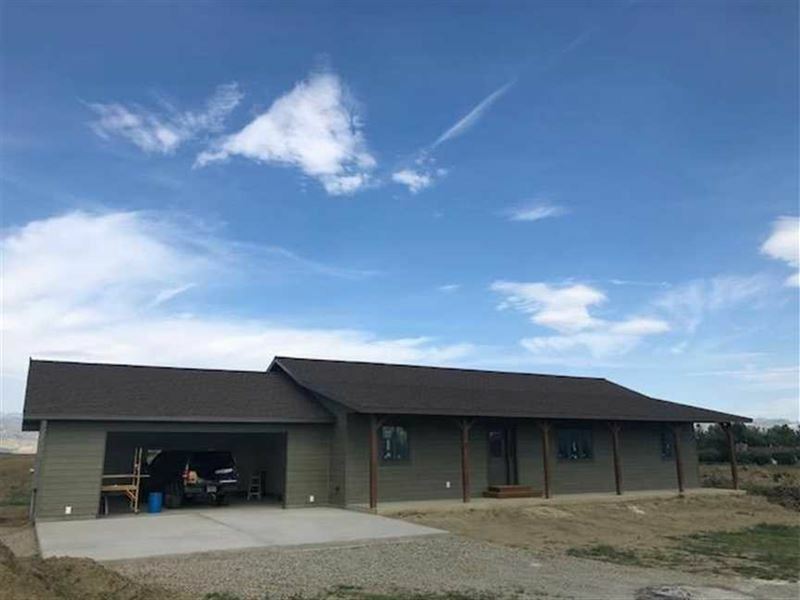 Ft. house built in 2018 with 3 bedrooms, 3 bathrooms in Cody, WY 82414. Brand New 2000+ Squar Foot Home Built Just For You, High END Finishings, Large Rooms, Vaulted Ceilings, And Huge Kitchen. This Home IS A Must See. The Views Aren't BAD Either. Located Just 8 Miles OUT OF Town IN The Heart OF The Southfork Valley. Year Round Creek TO Water Horses OR Develop Future Fishing Pond. This Home IS A Must See. Appliance Allowance Negotiable. Agent Owned.